McDonald’s Malaysia, as a part of its three year growth plan, has plans to invest RM363 million to add 33 new restaurants but also refurbish 86 others in the country. This is according to an article by Bernama, which states that the company is also looking to invest RM1.4 billion to develop 450 restaurants. It will also aim to create 10,000 new jobs in the Malaysia market over the next eight years. A+M has reached out to McDonald’s Malaysia for more information on this plan. Azmir Jaafar, managing director and operating partner of McDonald’s Malaysia, in a statement to Bernama, said that the company plans to allocate RM100 million to develop drive-thru restaurants and for the refurbishment exercise. With these plans in place, Jaafar explained that the company is positive about a double digit growth. The Bernama article stated that the company achieved an all-time high year-on-year revenue growth of 16% the previous year. Jaafar stated that the brand is continuing its growth strategy under the new Developmental Licensee (DL) ownership. Currently, Singapore and Malaysia’s immediate neighbours in Thailand, Indonesia and the Philippines are all development licensee models, as is South India and the entire Middle East. Also the Corporation has recently announced it is seeking DL partners for China, Korea and Hong Kong. Malaysia and Singapore are not the only regions the company has set its eye on. 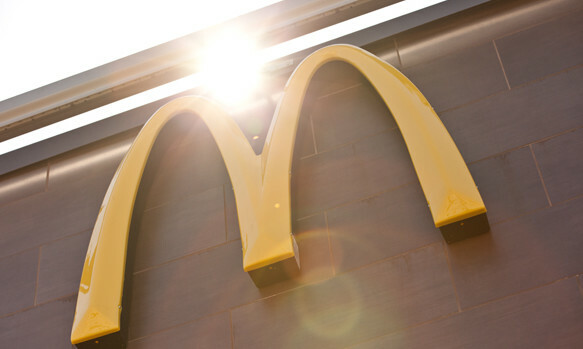 Last year, McDonald’s has announced that it intends to add more than 1,500 restaurants in China, Hong Kong and Korea over the next five years. CFO Moeller added that total reach and frequency had "probably increased" in the quarter, while total marketing spend required to ..